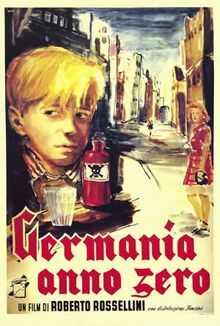 Roberto Rossellini is considered as one of the architects of Italian Neo-realism. 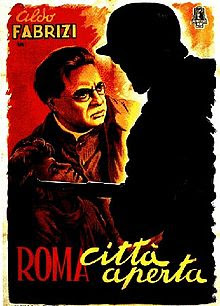 Of all the films that he made, Rome, Open City (1945), Paisà (1946), and Germany Year Zero (1948) are considered his masterpiece. 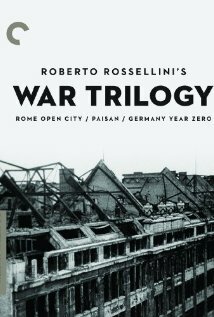 Rome, Open City (1945) is about a city, Paisà (1946) is about all of Italy from the south to the north, and Germany Year Zero (1948) is about a great country that has been conquered and destroyed. 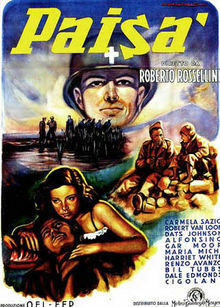 François Truffaut (The Films In My Life, p. 276, 1978) wrote the following about Rossellini's style: "Rossellini detest clever titles, especially with scenes preceding them, flashbacks, and everything in general that's included simply for decoration, everything that does not serve the film's intention or the character development."